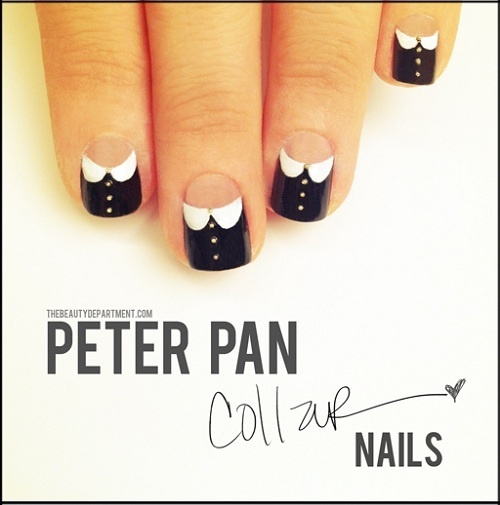 Recently, I have been browsing through Pinterest for some interesting nails design and I found this! So this morning, for my appointment with GardeNails, I requested for this set cute nails! Mal & Joanne did a similar design for me! Thanks for the hardwork ladies! GardeNails also brought in a new LED Light machine to cure our Gel Nails! This Gelish LED Light machine able to cure our Gel Nails promptly, its faster compared to UV Lamp! LED Light machine able to cure Gel Nails as fast as 5 seconds! And I realised that Gelish Manicure is much more shiner compare to UV Lamp. The Gelish® LED 18G light is a scientifically engineered and precisely calibrated authentic LED (Light-Emitting Diode) of exceptional quality. Specifically designed for rapid and curing of our high-performance Gelish® Soak Off Gel Polishes and Gelish® Hard Gel System. The Gelish® LED 18G light quickly and comfortably cures gels to effectively ensure the smoothest most level gel-drying. The quiet, compact and rugged Gelish® LED 18G light is guaranteed to provide years of reliable faster in-salon performance without any variations in curing times and temperature fluctuations consistently delivering properly cured gels. Call 6310 2669 or text 98517141 for your appointment! The “Like & Share Promotion” of GardeNails Facebook is still on-going!! 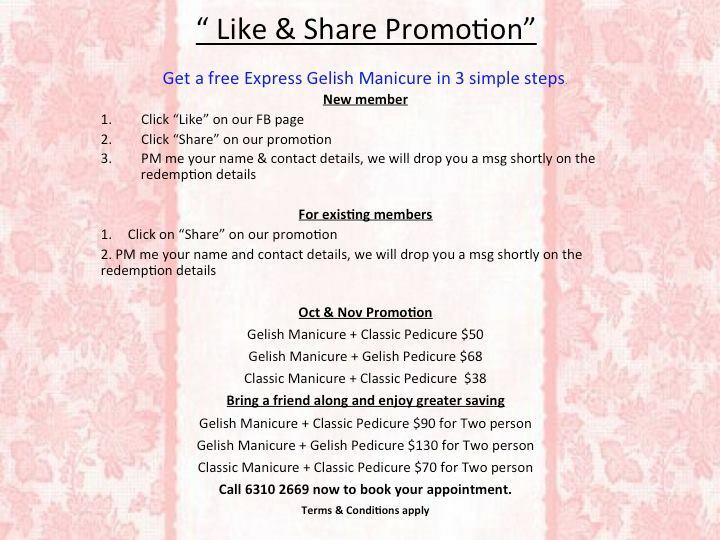 Follow the steps below and start sharing in your facebook account for FREE Express Gelish Mani!